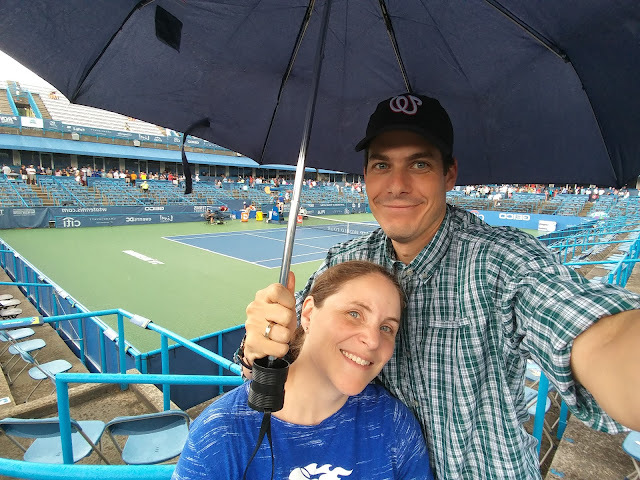 It's hard to believe that it's been 5 years since we were able to make it to the Citi Open Tennis Tournament (formerly known as Legg Mason), but that isn't for lack of trying. Getting a chance to see the US Open and French Open have only made us appreciate this event more. It's a chance to see huge names in a very up close and personal way. Along with seeing big names, the other thing you can depend on with the Citi Open is crazy weather. In the past, it's been unbearably hot and sopping wet. Last night, we looked to be in the clear. 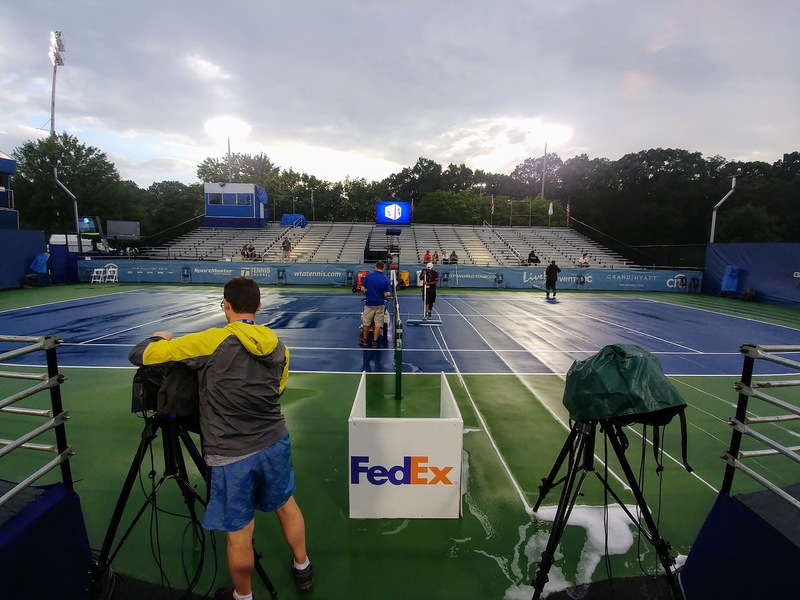 It was evening and the day had been relatively cool, and while there had been a couple of drops of rain on the way to the venue, it looked to be nothing more than a light sun shower. The reward for our patience, however, was a front row center court seat in the Grand Stand stadium. From this vantage point, I was able to watch Baghdatis crush Leshem, Edmund beat Chung and del Potro take on Lacko. Seeing del Petro was a special treat, as we saw him win the tournament back in 2009. That earned him a place as the first non-main stream tennis name I'd learn. He's had his share of challenges, so it was great to see him back on the court. And sitting in the front row, that was just bonus.